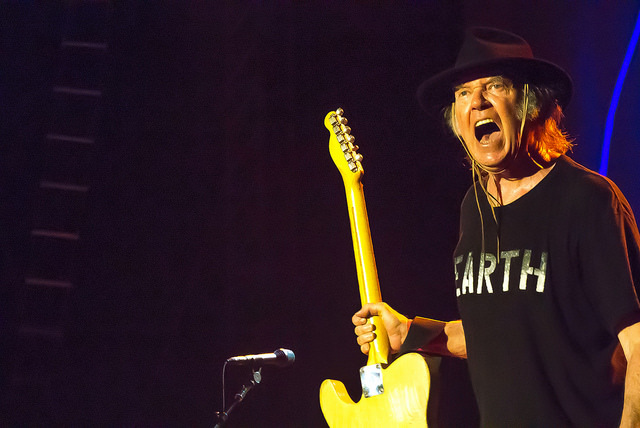 About two months ago, legendary music icon Neil Young announced the release of “The Monsanto Years“, which will come out on June 29th. 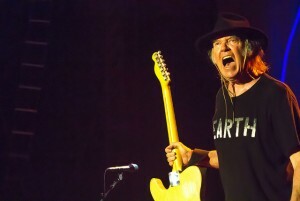 The album — the result of a collaboration between Neil Young and Promise of the Real, a band featuring Lukas and Micah Nelson (sons of the legendary Willie Nelson) — includes songs criticizing the multinational agrochemical and agricultural biotechnology corporation Monsanto. The North American summer tour dates for “The Monsanto Years” have also been released — the tour starts July 5th at the Marcus Amphitheater in Milwaukee, Wisconsin. A genetically modified organism, or GMO, are “living organisms whose genetic material has been artificially manipulated in a laboratory through genetic engineering” and are present in the foods we eat. Prior to reading this blog, I did not really pay attention to what I was eating and whether nor not the foods I was ingesting contain GMOs, so I was inspired to do some research about GMOs. According to an article posted by on GMO Education’s website “current commercially GM crops in the U.S. include soy, cotton, canola, sugar beets, corn, papaya, zucchini, yellow squash” and many more. Additionally, the FDA does not require GMOs to be labeled in food ingredient lists! I continued to read and learned that GMOs have been related and linked to “allergic and toxic reactions, sick, sterile, and dead livestock, and damage to many organs studied in lab animals.” What is more alarming to me is the effect of GMOs on humans is not known and has not been extensively studied. I find it kind of alarming that we are ingesting GMOs without really knowing what can happen. Some studies are being done, however, to learn more. According to the Institute for Responsible Technology “several animal studies indicate serious health risks associated with GMOs including fertility, immune problems, accelerating aging, faulty insulin regulation, and changes in major organs and the gastrointestinal system.” The AAEM has even began to ask doctors to suggest advising patients to avoid GM foods. In the future, I plan to pay more attention to what foods I put into my mouth and whether the contain GMOs or not. And as far as Neil Young calling out companies who use GMOs in their products, I applaud him for using his position to raise awareness.